Chromatophobia (krō′mad·ə′fō·bē·ə): an abnormal aversion to colours. 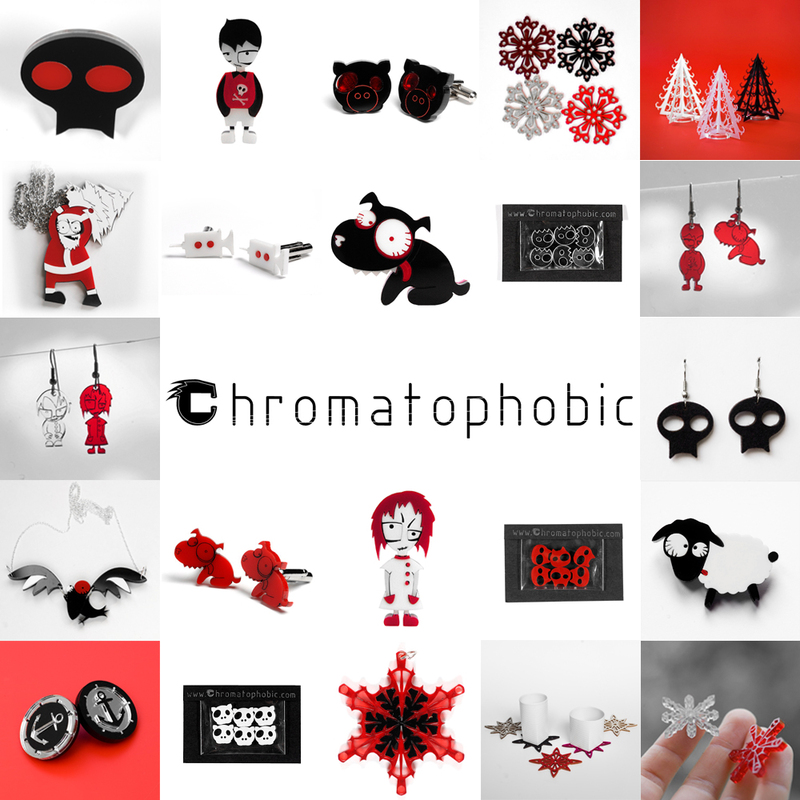 Chromatophobic is: not-so-colourful, quirky, intricate jewellery and accessories including limited edition brooches and pendants; coasters, xmas tree decorations, shirt buttons and also dude friendly cufflinks. All Chromatophobic products are created from scrap material destined for the landfill, and packaged in treehuggy reused/reusable stuff. Grimlies and other jewellery characters may look slightly homicidal, but they are trying to be kind to the planet! They are also postage friendly and suitable for a range of budgets.